The packaging of a present does not usually reveal much information about the contents. Today many consumers pack gifts in square boxes so that the recipient knows as little as possible and the surprise is great. The moment of unpacking is always exciting for both recipient and giver. But the less packaging, the more ecological a gift is. Environmentally conscious people often wrap gifts in simple brown paper with a colorful bow, which can be very appealing. This makes for an exciting, organically shaped parcel and it’s still hard to guess what’s in it. Who has not experienced such a surprise? From the outside, a paper-wrapped gift without box often looks a bit like a pillow or a blanket. If you take it in your hand and feel the package, you already know more. Feelings of joy and relief spread if the recipient likes the gift. We are grateful that someone has put thought into picking a useful and enjoyable present. People with a mature ecological awareness particularly love a present that they can use often, preferably daily. A high-quality Christmas present such as a wonderful new duvet is never wrong. We send out our duvets in a beautiful storage bag. You will receive a white roll with "Zizzz" written on it in red. The package is ideal as a sustainable gift. Depending on your taste, you can decorate it with a large red or green bow. 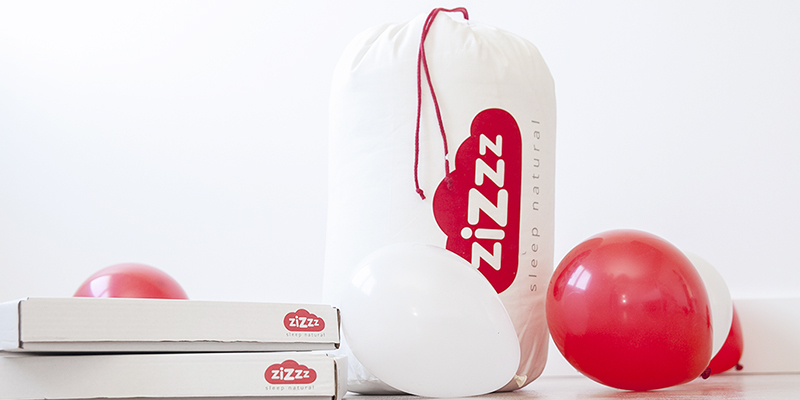 As a statement against the throwaway society, you can make someone happy long-term with a present that he or she can enjoy every day with a relaxing "Zizzz, Zizzz" in our All Seasons duvet. We also carry children’s duvets that are perfectly soft and cuddly Christmas presents. Your husband complains about his duvet being too short? If you are looking for duvets in unconventional sizes you can find them at Zizzz. During Advent, the shops are full of attractive, colorful toys. When you go shopping with the kids, they naturally want to have many of those toys. But we know from experience that many a toy that caused great excitement in the store remains lying in the corner at home. With a baby sleeping bag or a pajama, you can be certain that your baby will enjoy the present. Babys also like our comforting snugly doudous. You can find presents for all family members in our shop: all natural baby blankets, which can be used as a soft play mat and we even carry baby buggies.